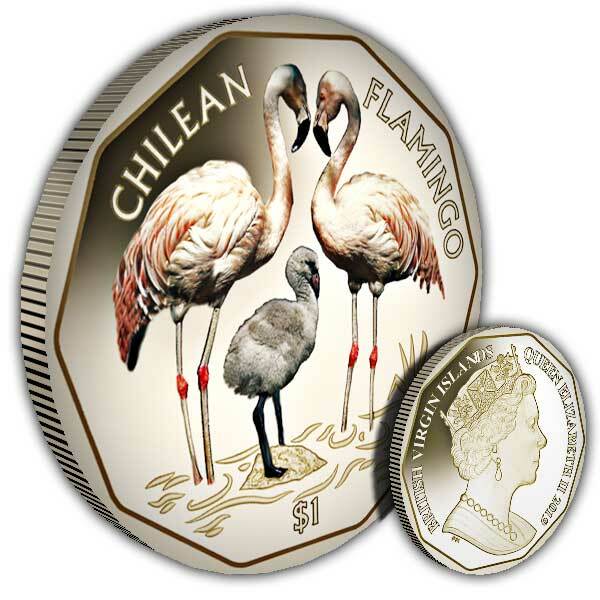 The third coin in the series features the Chilean Flamingo. A large species of flamingo at 110-130cm, closely related to American Flamingo and Greater Flamingo sometimes being mistaken as the same species. The Chilean flamingo’s beak is white near its face, descending to a black coloration closer to the tip. Like other species of Flamingo the bill of the Chilean has lamellae which serve as a filter to their food. The Chilean Flamingo lives in large flocks in the wild and are known for being flamboyant social birds. 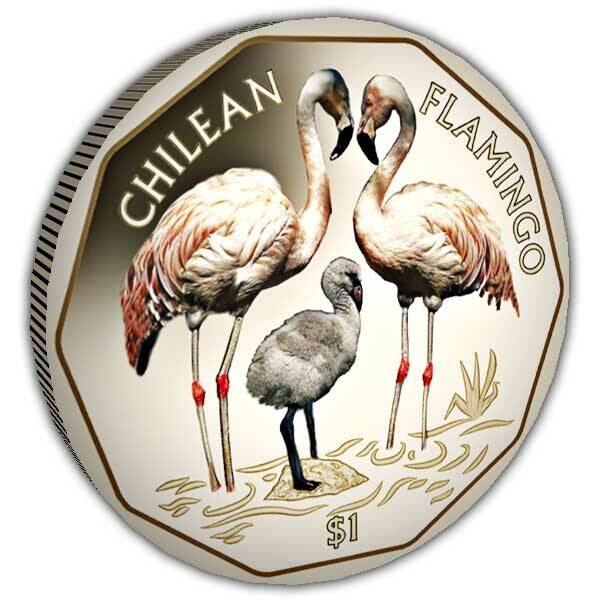 The coin depicts two adult Chilean Flamingos with their chick standing in between them in shallow water. The coin has been produced in Virenium®, a metal developed by Pobjoy Mint which is light gold in colour. The adult Flamingos on the coin have a pink plumage and can be differentiated by its greyish legs with pink joints. The obverse of the coin features the exclusive Pobjoy Mint effigy of Her Majesty Queen Elizabeth II.